Newcrest Mining will plough an an extra US$1 billion ($A1.3 billion) in upfront capital into developing a new gold and copper mine in Papua New Guinea. Australia’s biggest gold miner released the estimate for the Wafi-Golpu project on Monday showing total capital expenditure for the life of mine, situated about 65 kilometres south west of PNG’s second-biggest city Lae, would fall by about the same amount to US$5.38 billion. The cost of the project will be split between Newcrest and Harmony Gold Mining Company. The Wafi-Golpu project is a key part of Newcrest's future, and is considered the company's top growth asset. It has an expected "life of mine" of about 28 years.The updated feasibility study estimates it would produce on average about 161,000 tonnes of copper per year, which is about double the group's copper guidance for fiscal 2018. 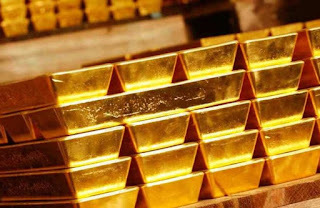 The study estimates it would produce about 266,000 ounces of gold per year. Newcrest attributed the higher upfront capital cost, relative to earlier studies, to the “adoption of deep sea tailings storage” to deal with tailings from the mining operation, construction of an on-site power plant, a larger processing plant and a deeper and larger initial block cave. In a statement the company said its latest feasibility research identified deep sea tailings storage as the preferred option for managing tailings, and came after examination of 45 possible sites considered for land-based tailings storage dams or dry-stacking sites. Newcrest highlighted a number of disadvantages from using a land-based storage, determining that the amount of storage volumes required “would result in a large disturbance footprint over an area which can have high traditional heritage and economic value, high biodiversity, and/or displacement of communities and their livelihoods”. The Wafi-Golpu update comes less than two weeks after mining operations at Newcrest’s Cadia mine in NSW were suspended because of a slump in a tailings dam wall. Executive project director Bryan Bailie told Fairfax Media in an interview from PNG that the selection of deep sea tailings placement as the preferred option for tailings management "had nothing to do" with the recent Cadia dam incident. Bailie said the PNG government recognised the potential of the project to make a significant economic and social contribution to PNG. “If developed the project is expected to create economic benefits across Papua New Guinea and the Morobe province, including an estimated 2500 direct jobs during construction and about 850 during operations. “The project will also contribute at a local, provincial and national level through the payment of royalties and taxes, through social investment programs etcetra," he said. “In all the time that I've certainly been involved in the project the PNG government has been very supportive of this project, the local communities are the same,” he said. Newcrest managing director Sandeep Biswas said the company had a clear path forward for the project. “The improved business case set out in the updated Feasibility Study clearly demonstrates the world-class nature of this multi-decade project,” he said.